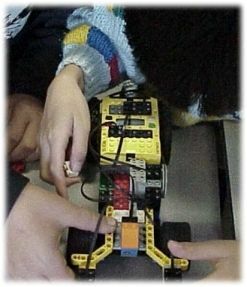 We wanted to build a car with two different sensors, a touch sensor and a light sensor. The light sensor would work at the front of the car and the touch sensor at the back of the car. In whose heart is perverseness, Who devises evil continually, Who always sows discord. Technology was very helpful to us, it makes life easier. People invents valuable gadgets like robots.